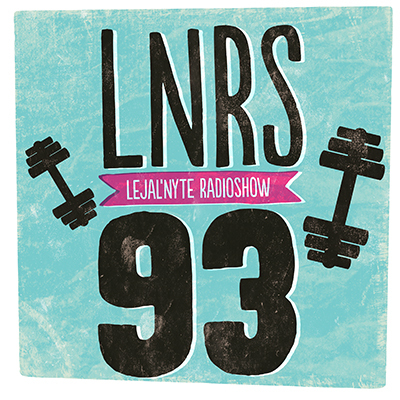 Lejal’Nyte radioshow LNRS093 was live on air @ http://www.sub.fm 02.03.2012 @ 9AM UK time @ 11AM EE time. Fresh music from artists like DJ Hash x Sven Grünberg, Jeffy Diamond, Gee, Theo Tzu, Conscious Pilot, Hesk, Dubvine, Goosensei, DGGZ, DJ Raff, Samo Sound Boy & Floyd Campbell, Mojo Goro, Last Japan, EPROM, and others. This entry was posted in radio and tagged aa, alicia keys, audioklipz, bambarra, bass, beyonce, bombé, conscious pilot, dggz, dizzee rascal, dj dizzy, dj hash, dj raff, doctor, drvg cvltvre, dub, dubstep, dubvine, duct, eprom, experimental, fatboy slim, floyd campbell, fused forces, future garage, fybe:one, garage, gee, goonsensei, grime, hash, heny g, hesk, hiphop, jaw jam, jeffy diamond, jodie, jokers of the scene, juke ellington, just1, last japan, lejal'nyte, lone, megalodon, mojo goro, phantohm, plookie, reggae, rnb, robots don't sleep, rwina, samo sound boy, slugabed, soul, sparxy, sub.fm, sven grünberg, synkro, t2, theo tzu, trap, uk garage, xanadu. Bookmark the permalink.